What Makes You a Corporate Rebel? What makes a Corporate Rebel? It's the boots! I get invited somewhat regularly to participate in interviews or collaborations with other coaches and entrepreneurs. I'm choosy about where I put my time and frankly, where I put your time and trust. With the most recent invitations, I've noticed something interesting which raises a question I want to ask you. Most of the invitations are from coaches who help entrepreneurs build businesses. The hosts assume because the word "rebel" is in my brand, that I help people leave corporate jobs to become entrepreneurs. They are surprised when I decline and explain that I do not work with entrepreneurs, but in fact, help people get in and stay IN corporate. They assume that being a rebel and working in corporate is an impossible combination. In fact, a friend once said that he thought being a Corporate Rebel is an oxymoron. To that I say, PISH-POSH! You can be a rebel and work in a corporate job. When I was working in corporate, I knew lots of creative, dynamic and interesting people I would describe as rebels. 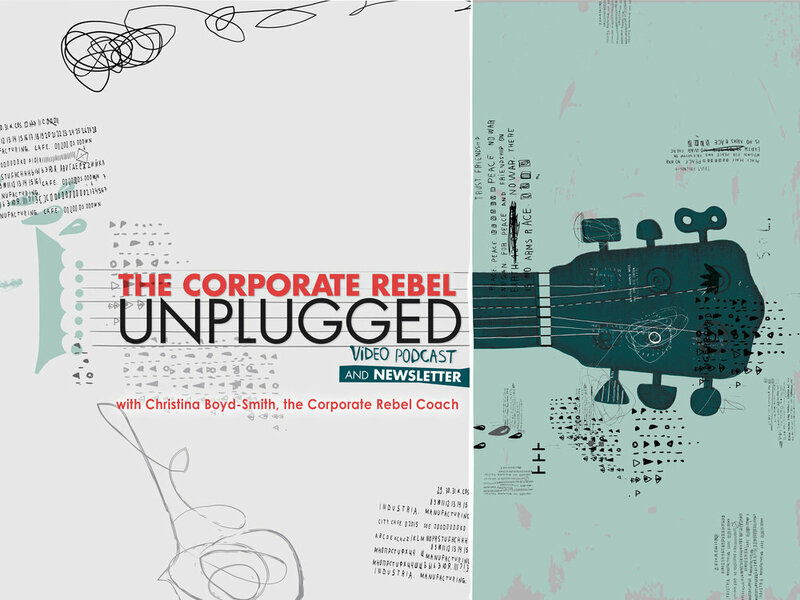 Which inspires a question for you: What makes you a rebel in your corporate job? (And if you're a coach or entrepreneur, you are most welcome here, too and I'd love to hear what makes you a rebel.) I have lots of thoughts and opinions on the subject and would love to hear from you first. Feel free to hit email me at christina@boydsmithcoaching.com and let me know what you think or share your thoughts in the conversation at Corporate Rebel HQ on Facebook. Click this link to join or comment if you're already a member.